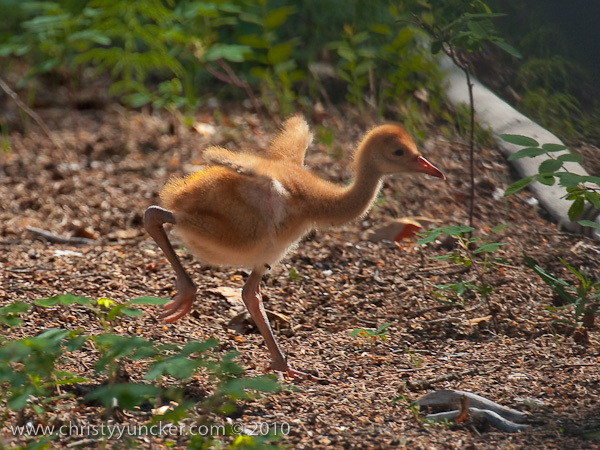 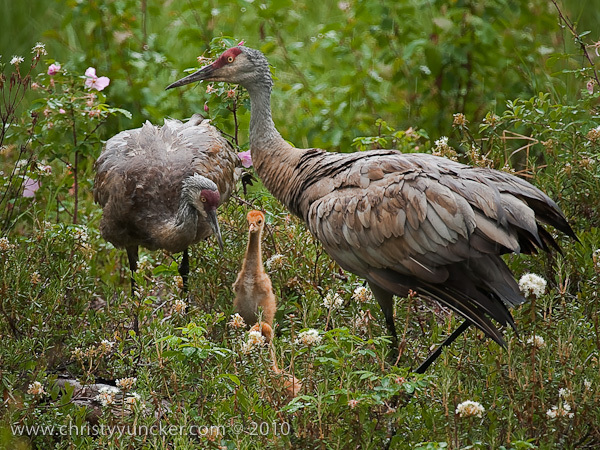 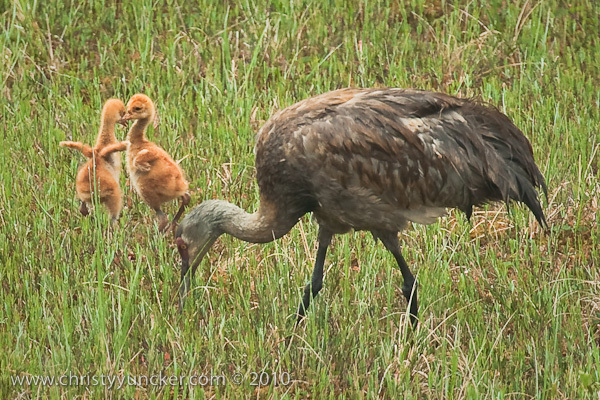 In 2010, Roy and Millie returned from migration on April 22. 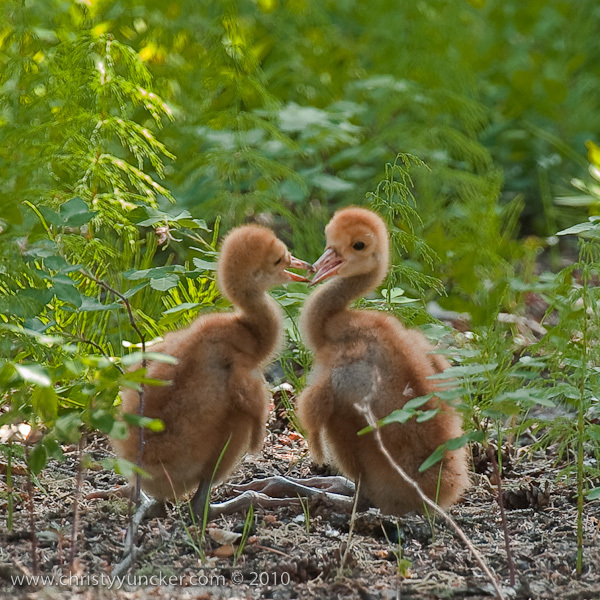 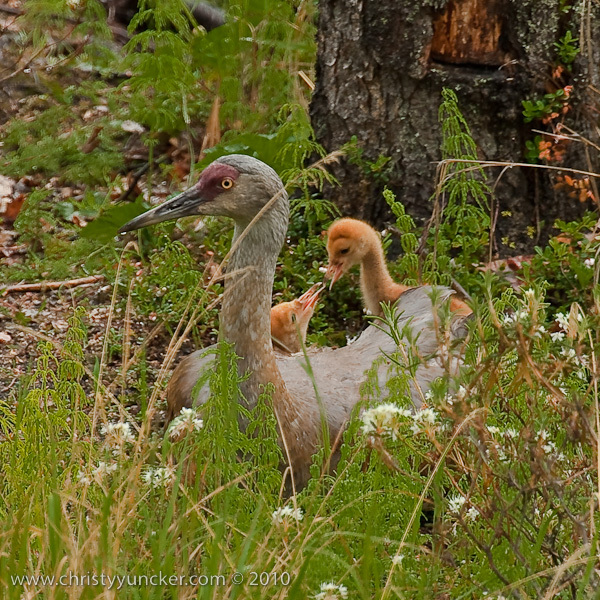 They began incubation on May 4 and the colts hatched on June 4 (Lucky) and June 5 (Chance). 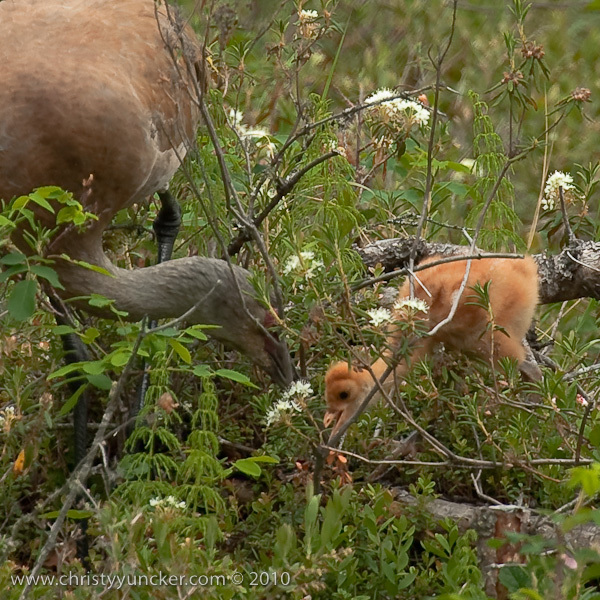 The two colts did well in their first week. 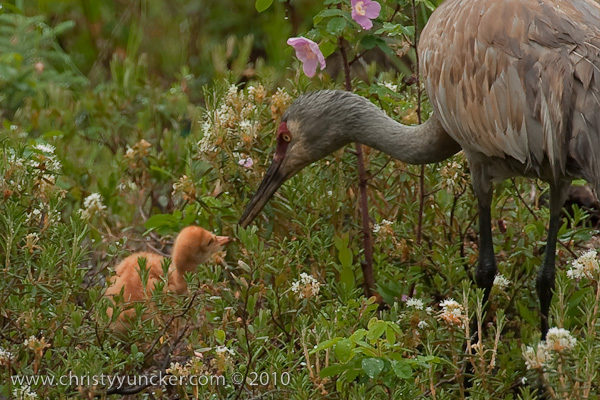 By the end of the second week, Lucky (first-hatched, we think) was distinctly larger than Chance. 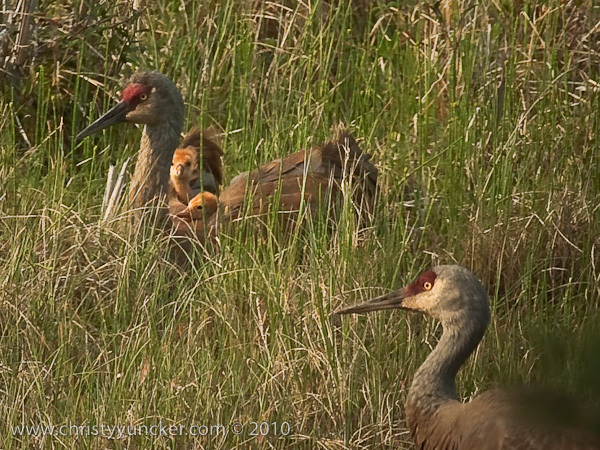 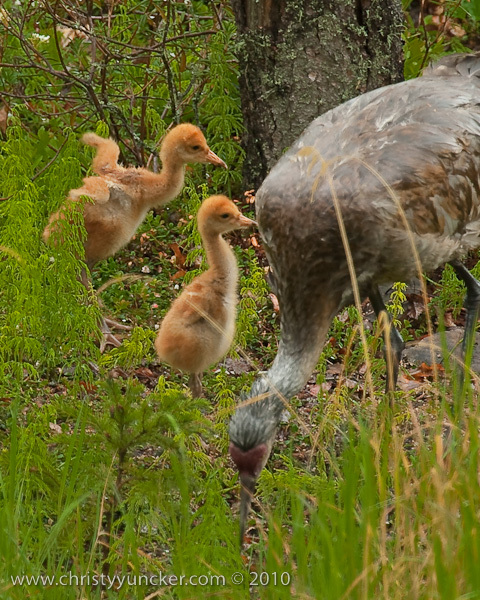 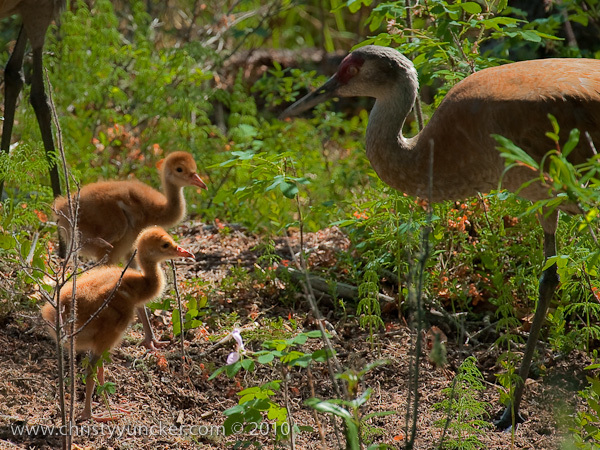 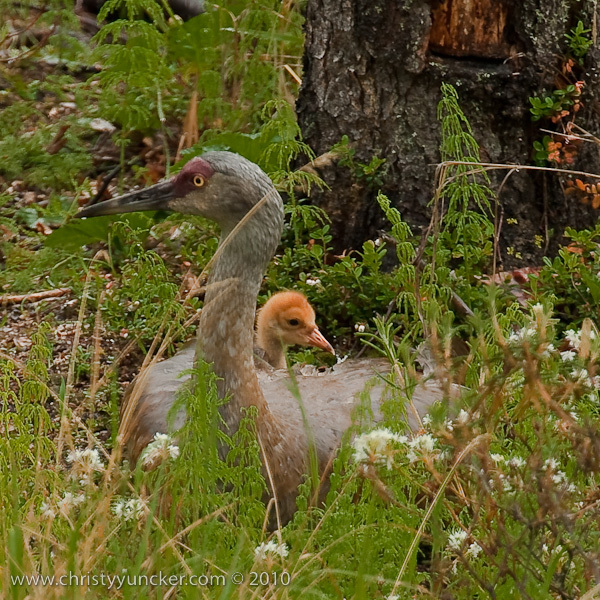 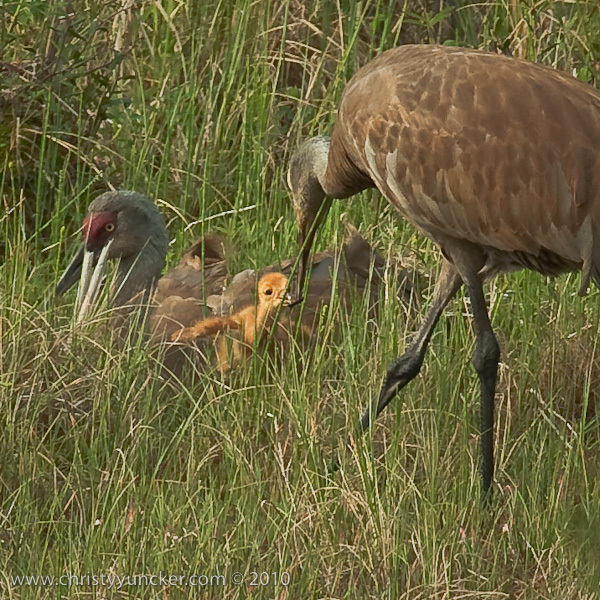 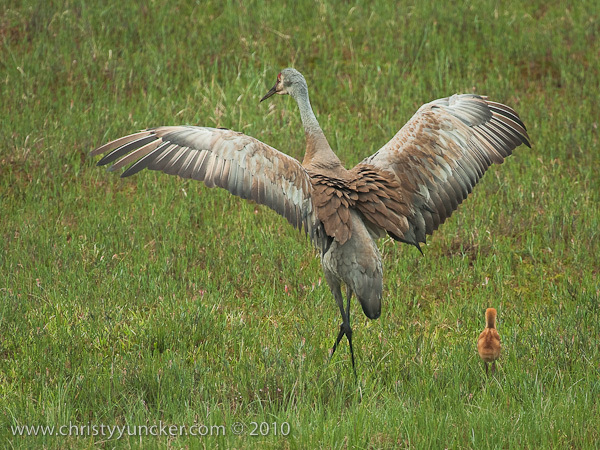 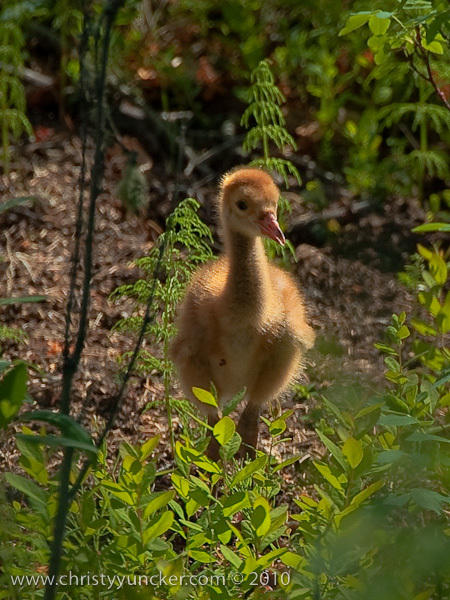 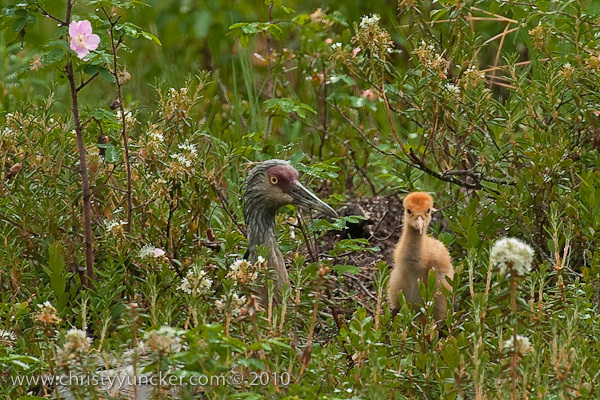 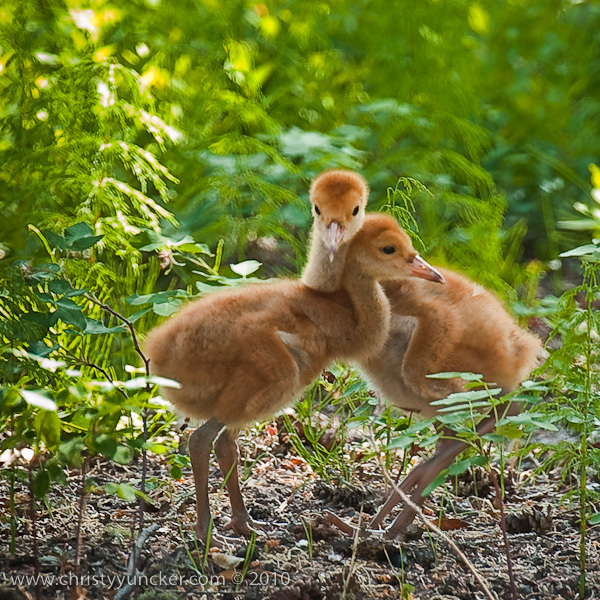 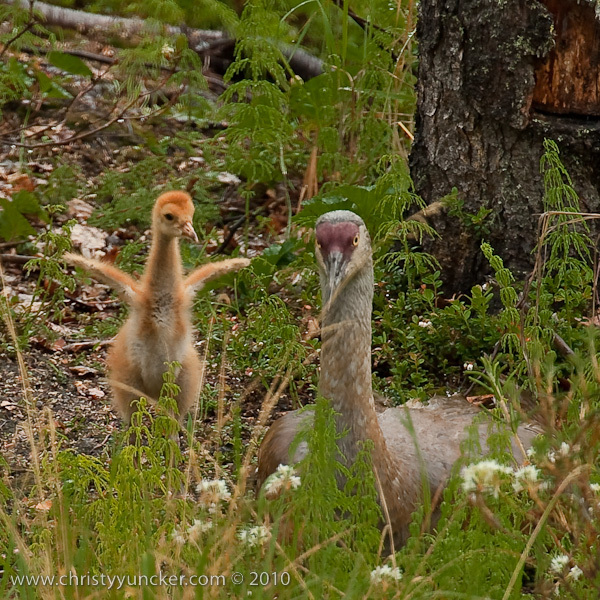 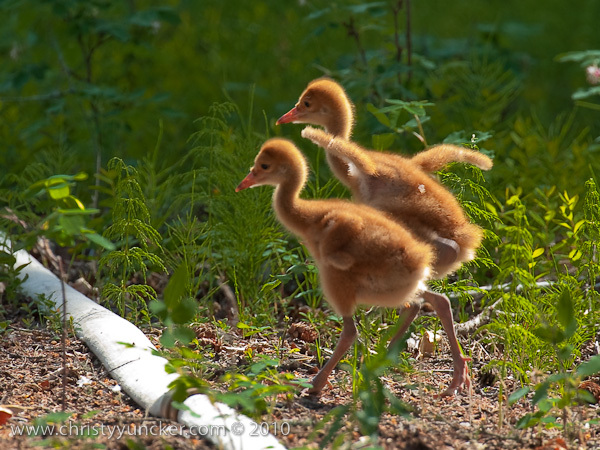 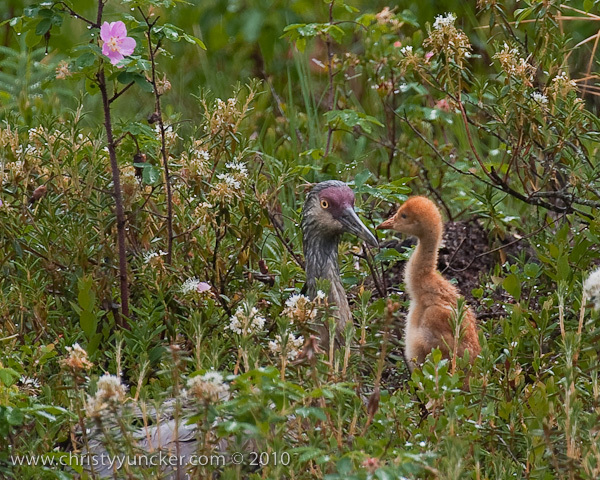 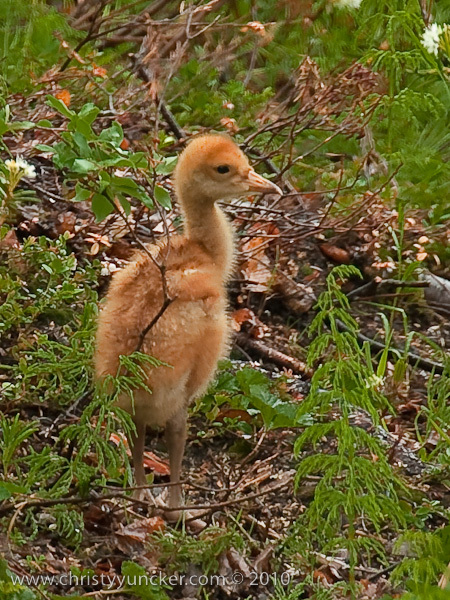 See also Alaska Sandhill Crane Blog.